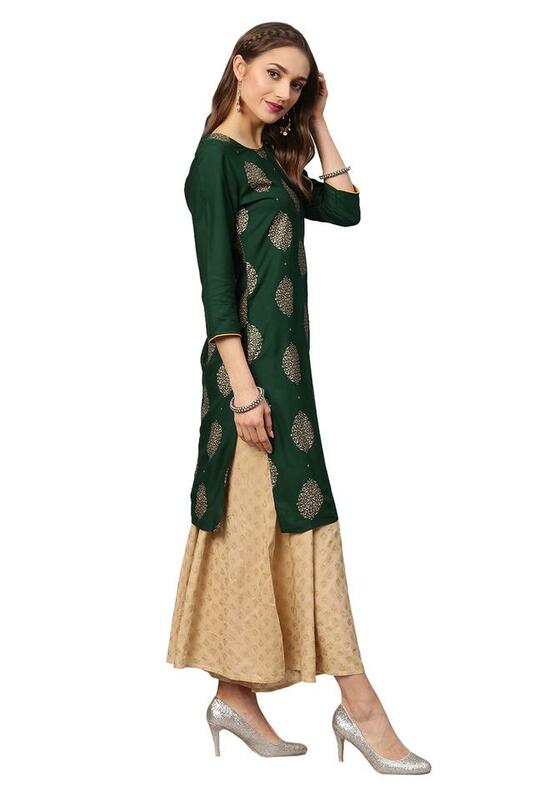 Bring home this kurta palazzo set from the house of Juniper and give your clothing collection a fine upgrade. 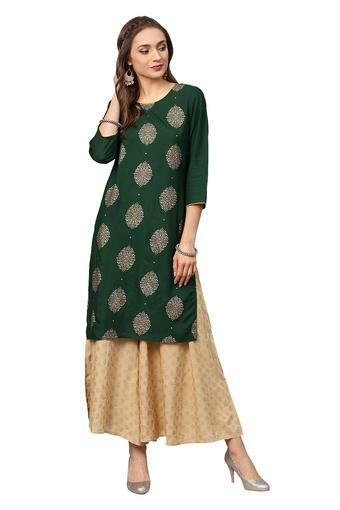 It has been crafted with care using a rayon fabric that will keep you at ease all day long. 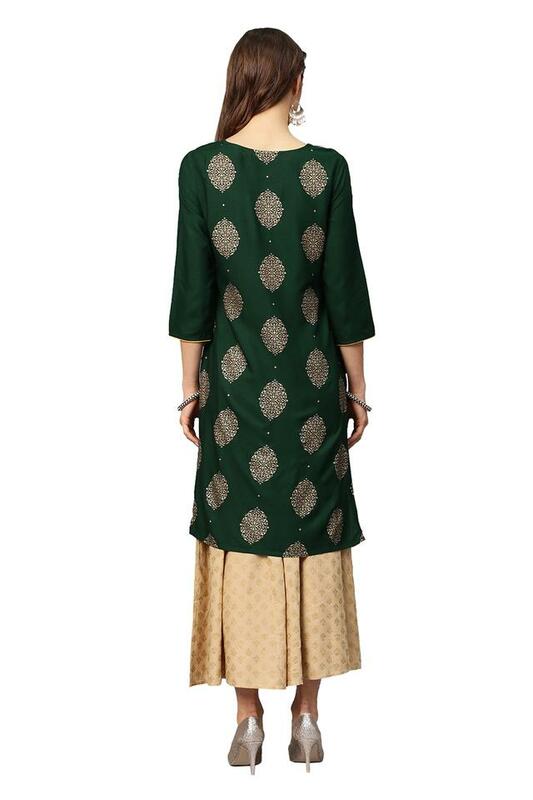 Moreover, the kurta comes with a round neck, printed pattern and three quarter sleeves that add to the design, while it also comes the pair of printed palazzos which enhances its visual appeal. Get that standout look for any casual occasion by wearing this kurta palazzo set. This will go well with a wide range of a pair of sandals and accessories.